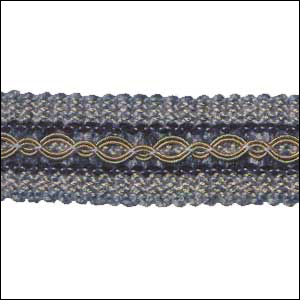 1 3/8" rayon, acetate and polyester gimp braid from our Carrington Collection, sold by the yard. Please look at the drop down menu of color choices to see what we have in stock. Click on the color chart link at the bottom of the page to see the colors.